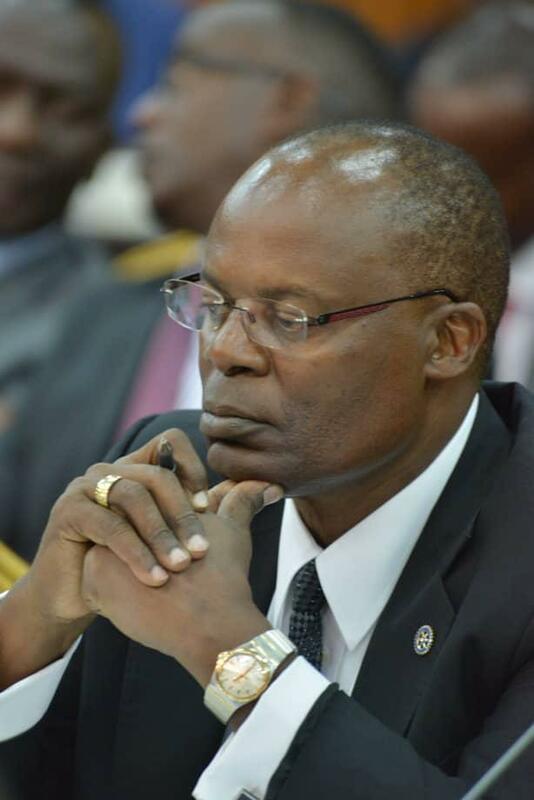 KAMPALA – MPs on the Committee on Commissions, Statutory Authorities and State Enterprises (COSASE) on Wednesday questioned the hand of the central bank deputy governor Dr. Louis Kasekende in the controversial sale of Crane Bank to dfcu Bank in January 2017. With the Committee learning that Dr. Kasekende approved all payments to Crane Bank’s liquidity support, MP Odonga Otto (Aruu County) tasked him to provide the legal instrument he used to authorize such payments and minutes of the meeting on how they arrived at the figure, to commit tax payer’s money to Crane Bank’s bailout the MPs heard. Mbarara Municipality’s Michael Tusiime also joined Mr Otto, questioning the central bank over the payments. Dr. Kasekende, however, told the Committee that the Bank would fund the shilling account of Crane Bank in Bank of Uganda as the Central Bank is the one unique institution where they can create a liability matched with the assets. However, Mr. Tusiime insisted on having Dr. Kasekende explain why he paid local contractors when there is a bar from the Treasury to execute these payments in foreign currencies. The MPs on the Committee of Commissions, Statutory Authorities and State Enterprises (Cosase) have already instructed the Auditor General to institute a forensic audit into the sale of Crane Bank after it emerged that loans worth Shs 600 billion were duplicated. The MPs also want the Central Bank officials to explain why they used Shs 478billion to close Crane Bank which needed only Shs 157 billion for capitalisation. The evidence before the MPs, indicates that BoU officials wrote off Crane Bank Ltd loans amounting to Shs600b through unclear circumstances, and Ms Bagyenda’s January 25, 2017 letter to then dfcu Bank Managing Director Juma Kisaame, giving the bank several waivers to evade the rules has been handed to the MPs as the sale of Crane Bank Ltd takes centre stage.